Luxury Casino is a prime online gambling website which offers its users one of the best online casino experiences out there. Below you will find detailed information about this gambling website, covering all major aspects. Luxury Casino was launched in 2011 as part of the famous Casino Rewards Group. It is owned and operated by Technology Services Trading Limited. In the relatively short time span that it has been available, Luxury Casino has made a lot of progress and has risen to become one of the top online gambling websites on the market. This online casino is powered solely by Microgaming, one of the industry leaders in the development of online casino games. This company has made hundreds of high-quality slots and table games over the years and users of Luxury Casino will have access to a vast and diverse selection of titles. This online casino takes the classic approach by offering players a dedicated casino client rather than utilising an instant play interface. This software is freely available to all registered users and is very easy to set up. Those who register at Luxury Casino will have the opportunity to claim a generous Welcome Bonus, which spread out over the first five deposits. If you choose to take full advantage of this promotion you will find yourself with up to £1,000 in bonus funds, which will substantially increase your game time. Thanks to the favourable terms of the promotion, users might find themselves cashing out a lot more winnings than usual. Since this an online casino, you will have to utilise one of the several available deposit methods to top up your balance. At Luxury Casino, users can deposit using a variety of different services, including credit cards, eWallets, online banking, prepaid cards, bank transfers and more. In the unlikely event that a problem arises, users can always turn to the customer support team. The agents are available around the clock and you can contact them via live chat and email. Additionally, if you send your phone number via email, the casino staff will give you a call. 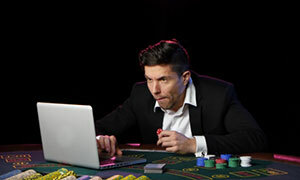 Online Since Luxury Casino has been online since 2011. Minimum Deposit/ Withdrawal The minimum deposit amount is £20, while the minimum sum that you cash in is £50, except when using a bank transfer where the minimum amount is £300. 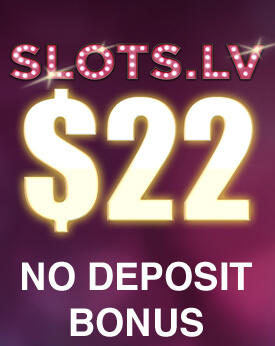 No Deposit Bonus Luxury Casino does not offer any No Deposit bonuses. 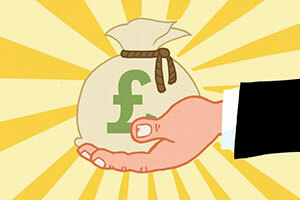 Welcome Bonus The Welcome Bonus of Luxury Casino will allow you claim up to £1,000 in bonus funds. 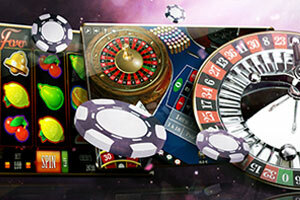 The promotion covers the first five deposits made to your casino balance and features various match percentages. 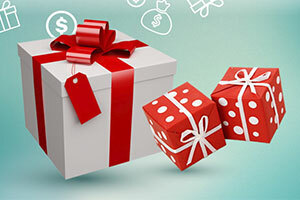 Regular Bonuses Luxury Casino will occassionally run personalised promotions for its regular users who will generally receive them by email. Loyalty Programme Luxury Casino features the same comp point system offered at all Casino Rewards casinos. The players has a centralised account and they earn points at all Casino Rewards websites. Points are earned by placing wagers, with 1 points being earned for every $10 bet on slot games. The coversion rate is 100 points for £1. Software Luxury Casino runs on Microgaming software. Popular Jackpots Registered users will be able to play some of Microgaming’s all-time favourite progressive games, such as Mega Moolah, King Cashalot, Major Millions, Caribbean Draw Poker, Roulette Royale and more. Game Types At this online casino, players will have at their disposal a wide array of game types, including slots, roulette, blackjack, baccarat, video poker, casino poker and more. Live Casino At the time of this writing, Luxury Casino does not feature a Live Casino. 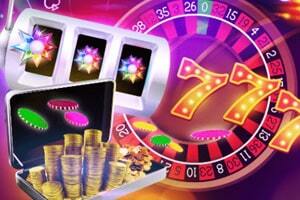 Mobile Casino Mobile users can access the casino using their smartphone or tablet devices. There is no dedicated app to download, rather they can simply load the casino in the browser and start playing. Currencies Luxury casino accepts CND, EUR, GBP, and USD. Languages This online casino is available in English, German, Italian, Spanish and French. Support Customer service is available via email and live chat, as well as via telephone in specific circumstances. Licenses Luxury Casino is licensed by two highly respected European institutions – the United Kingdom Gambling Commission and the Malta Gaming Authority. The gaming library of Luxury Casino comprises of a wide variety of top-quality casino games. 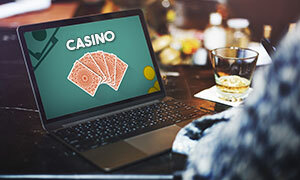 Much like other casinos in the Casino Rewards Group, Luxury Casino receives its software from Microgaming, a company with a long history of operation that enjoys the respect of the whole industry. Their games are known for their high graphical quality, inherent entertainment value and overall premium feel. The selection includes a wide range of casino genres, including slots, roulette, blackjack, video poker and more. Luxury Casino gives you several options when it comes to entering accessing the gaming library. PC users can download the dedicated casino client and load the games directly from their hard disk. Alternatively, there is also the possibility of utilising the instant play interface and play the titles directly in the window of your browser. Mobile users, on the other hand, can open the casino website within their browser and load the games via a similar instant play interface. 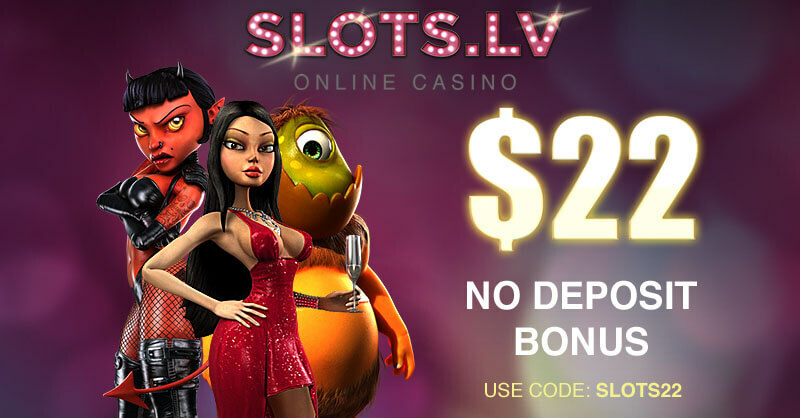 The slots selection at Luxury Casino is one of the largest on the Internet and it is comprised of hundreds of different and unique slot games. The slots created by Microgaming are famous throughout the online gambling industry as some of the most entertaining and engaging. There is a multitude of themes and aesthetics featured in the slots, which results in massive variety. Generally, there are two broad types of slots – video slots, that come with 5 reels and complex features, and classic slots, which mostly include the base gameplay and a simple paytable. The video slots selection is quite diverse, as we have already mentioned, and it includes a large number of games. Due to the sheer quantity, we can only present you with so many games at one time, but we will single out some of the most popular ones. Sports is a major theme in modern-day slot games and there are plenty of those at Luxury Casino, more specifically, you will have access to titles such as Football Star, Basketball Star, Centre Court, Break Away and more. Fruit slots are coming back into fashion and Microgaming has developed quite a few of them over the years. At Luxury Casino, you will be able to play Elementals, Fruit vs Candy, Fruit Fiesta: 5 Reel, and plenty more. Asian-themed games seem to be in demand, with games such as Asian Beauty, Dragon Lady, Dragon Dance and Wasabi-San taking precedence. But if branded games are more to your liking, know that Luxury Casino offers Terminator 2, Tarzan, Hellboy, Hitman, Game of Thrones and many more. Where classic slots are concerned, you will find that Luxury Casino does not disappoint. There are plenty of classic slot games for you to play, such as Cabin Fever, Captain Cash, Chief’s Fortune, Cosmic Cat, and many more. Roulette is the casino game of choice for many a gambler throughout the world and it is one that brings great satisfaction and entertainment. 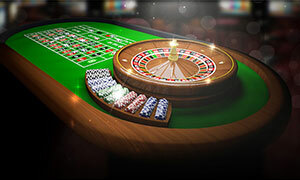 There are several top-tier roulette games at Luxury Casino which we are sure that you will enjoy. American Roulette is a great adaptation of the original game and one of the best in the industry. As an American version of the game, it comes with a 38-pocket wheel and a house edge of 5.27%. The visuals of this title are nothing short of beautiful and the user interface is perfectly functional. Betting limits are quite inclusive, with a minimum bet of £1.00 and a maximum of £100. French Roulette by Microgaming is the game with the best odds in this section. It follows traditional French rules and includes the La Partage rule which brings down the house edge to 1.35%. Moreover, the game also provides you with the so-called announced bets and Expert mode, which gives you much more customisation options. Much like the previous game, betting limits in French Roulette range from £1 to £80. These are only two examples of the games that await you at Luxury Casino. However, there is plenty more where that came from and we encourage you to personally look at the roulette selection of the casino where you will also find Premier Roulette, Roulette Royale, Multi-Wheel European Roulette Gold and more. If hitting that all-coveted 21 is what excites you, then take a look at Luxury Casino’s blackjack selection, where you will find dozens of Microgaming’s brilliant blackjack titles. Here you will find be treated to games like Vegas Single Deck Blackjack, a variant which takes after the blackjack played in Las Vegas, but with the added benefit of using only a single deck of cards. This will significantly improve the odds in your favour and will certainly feel the difference. Aside from that, there is nothing too out of the ordinary, a blackjack hand pays 3:2, while Insurance still offers 2:1. As with most Microgaming blackjack games, you will be able to bet up to £200 per hand. 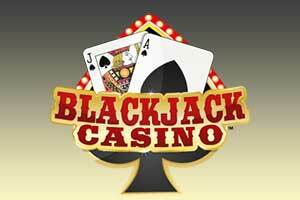 Classic Blackjack Gold is as close as you can get to the authentic blackjack experience. The best thing about this game is that it is played with a single 52-card deck, pushing the odds in your favour. Additionally, the graphics of this are certainly beautiful and the smooth animations make it come to life. Classic Blackjack Gold is suitable for players of every budget, featuring betting limits starting at £1.00 and going as high as £200 per hand. If you desire something different but in the same vein, you should definitely consider Ponton Gold. This game is the British cousin of blackjack and the two share a lot of similarities. On the surface, only the names of certain moves are changed, but once we take a closer look, we see significant differences. A pontoon hand – which is the same as a blackjack hand – pays 2:1 and a five-card-trick hand (a hand of five cards, totalling 21 in value) pays the same. Naturally, this is not all that Luxury Casino has to offer. You will also get a chance to play many more iconic Microgaming blackjack titles, such as Spanish Blackjack, Super Fun 21 Blackjack, Double Exposure Blackjack, Atlantic City Blackjack and more. The video poker selection at Luxury Casino is nothing if not extensive. This gambling website offers its users only the most popular video poker variations. For example, you will have the opportunity to play All Aces, which is partially based on Jacks or Better. The niche in this variations is that the third highest combination is made up of 4 Aces and pays 400 coins for every coin wagered, whereas other four-of-a-kind hands pay significantly lower. With a 7/5 paytable, the payouts of the lower combinations may leave something to be desired, but the highest ones are certainly worth your time. If you manage to score a Royal Flush, the game will reward you with 4,000 coins, provided that you have wagered 5, to begin with. Deuces and Joker is a great game that does not get the recognition it deserves. The Joker serves as a Wild card and can replace any other card in the game. The paytable in the game may not seem anything special for the lower ranked hands, but once you get past a certain threshold it will be really worth your while. When playing at five coins, the game will reward you with 4,000 coins for a Royal Flush hand and a whopping 10,000 coins for a hand of 4 Deuces and a Joker. Apart from these two examples, you will also get to try your hand at many other popular video poker variations. Luxury Casino also offers classics such as Deuces Wild, Jacks or Better, Tens or Better, Joker Poker, Aces and Faces and a few others. Moreover, most of these also come in the Power Poker version, when you get to play with multiple hands at once. 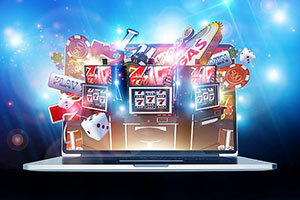 Progressive jackpots are a great attraction for any online gambling website and Luxury Casino realises this. The casino has included some of the most beloved progressive games by Microgaming and you can try your luck at winning the large jackpots. No Microgaming casino can go without Mega Moolah. This game ranks among the top 5 all-time favourite progressive slots and it comes with one of the largest rising jackpots in the industry. At the time of this writing, Mega Moolah’s jackpot is just shy of surpassing £6 million and can rise even higher. 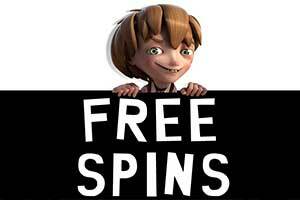 Mega Moolah is based on the African Savannah and comes with the standard 5 reels and 25 paylines. The maximum bet in the game is £6.25, making it accessible to players from all budgets. If instead, you would like to play something different, then you should consider SupaJax. A progressive video poker game based on the Jacks or Better variation, SupaJax is one of the few video poker titles that offers you a progressive jackpot to strive for. You can win said jackpot by scoring a hand of 4 Jacks and the special SupaJax card when wagering 5 coins. Aside from that, the paytable follows the 7/5 pattern, making it acceptable, if not great. There are also other progressive games which you can play at Luxury Casino, such as King Cashalot, Major Millions, Treasure Nile, Progressive Cyberstud and other lower-profile ones. Live casinos are a major feature of any gambling website and Luxury Casino has made sure that its customers are well satisfied in this respect. While the live dealer selection is not as large as some others, it includes all the vital games and you can certainly have a blast playing them. Here, you will find all-time classic table games hosted at Microgaming’s professional streaming studios. The main genres are live blackjack, live roulette, live baccarat, and live casino poker. Betting limits are determined by the table that you wish to take a seat at. Luxury Casino has not failed to provide for all of its players and you will find tables suited for both high rollers and casual players. Luxury Casino is operated by a company with a long history of serving players with the utmost professionalism. Moreover, the casino is licensed by two highly respected gambling regulatory institutions – the United Kingdom Gambling Commission and the Malta Gaming Authority. This should dispel any doubts that you might have and allow you to play at Luxury Casino without the need to worry. Does Luxury Casino offer Live Dealer Games? At the time of this writing, Luxury Casino has not implemented any live dealer titles in their portfolio. This could potentially change in the future, since their main software provider, Microgaming, has developed a sizeable collection of live games. I request a withdrawal but the money has not come in yet. What is wrong? Generally, when you ask for a cash in the casino staff first have to review and approve the request. In the case of Luxury Casino, this could take up to 48 hours and only after processing the request will the payment actually be sent. Then it all depends on which payment service you utilised for the withdrawal. But do not worry, the money will appear in your personal bankroll within a few days.